With 13 different collections, BabyLegs is quickly becoming a regular noun in households across the US. Especially popular within the cloth diapering community, BabyLegs is a company that proudly claims to be the “original leg and arm warmers for children and adults.” Their products are all tubular in design, fitting a variety of arms and legs, as well as offering collections specific to different needs or looks. Some of their collections really interest me, including their Earth Organic (which has both wool and cotton options in an array of beautiful, earthy colors and designs), Super Soft (boasting lots of fun stripes as well as a “flame pattern” pair–I want these for myself! ), and BabyLegs Cool! (which offers 50+ UV protection while featuring a lightweight and singly-ply mesh design). All of their collections are fun, purposeful, and versatile in their use and longevity of fitting your child as she grows. We’ve found that the BabyLegs Cool! Sailboat pair they sent us to try has been great for the unpredictable weather we’re experiencing. We just put the BabyLegs on Amara in the morning, and can easily remove them or just scrunch them down later in the day if the weather gets nicer out. They’re easier to put on than pants, and also make diapering an easier task. Knowing that she’s being protected from UV rays is another huge factor that should win everyone’s heart over on this product. We love that the Sailboat pair is great for either boys or girls, and goes with a variety of outfits because of the many colors it includes. It looks especially great with just a red diaper! Be sure to check out BabyLegs’ website, and also to search around the Internet for deals. There’s a lot of places that run sales on these, sometimes marking them down to just a few dollars! 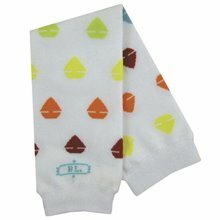 BabyLegs is currently offering 10% off of your new order after signing up for their newsletter. You can also win a pair of BabyLegs Cool! for free in the Sailboat pattern by letting me know what your favorite pair of BabyLegs are from their website. Include your email address with every entry, and leave a separate comment for every entry as well. Contest ends 8/07/09 at 1530 hours. Good luck, and be blessed! my favorite pair is the chutes pair. The mesh ones look great as well. I love green, so the “lime drop” babylegs, from the “fresh” collection are my favorite!! I like heather rainbow colors! Oh my goodness, there are so many wonderful designs!! I agree with you on the flame BabyLegs – my husband would love these!! I really liked the Spice ones though, they really reminded me of autumn. Of course, like you said the sailboat design is perfect for a baby boy or girl! I like the strawberry shortcake baby legs. I have you “Life More Simply” button on my blog. I like the Heather Rainbow BabyLegs.